In 2013, Iron Mountain set themselves an ambitious goal: Save $54 million in health costs. They succeeded. Here's how. When Iron Mountain dug into the numbers, the facts were sobering. 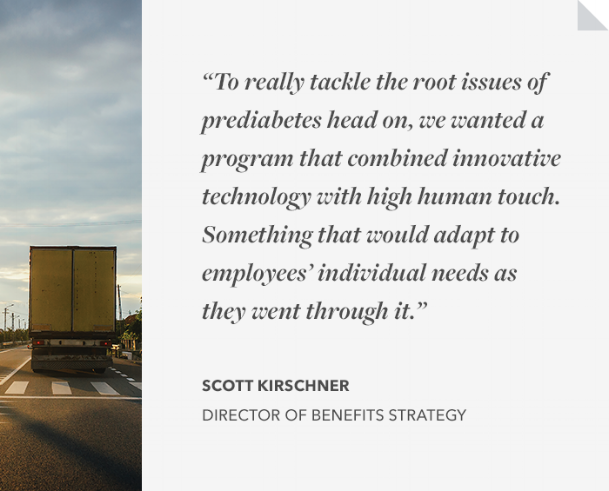 Blood tests showed that almost one-fifth of their employees had prediabetes. What’s more, as their loyal and long-tenured population aged, the odds of this problem worsening were very real. 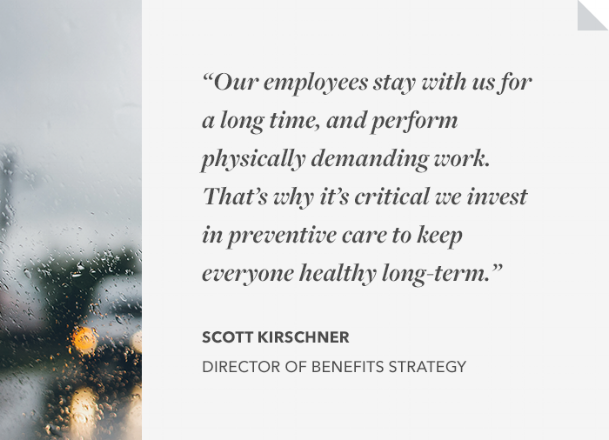 Iron Mountain decided to provide employees and their spouses with a suite of carefully-selected health programs and incentives through their in-house LiveWell brand. The goal? Inspire them to become more engaged with their overall well-being and tackle major issues, including the threat of type 2 diabetes. 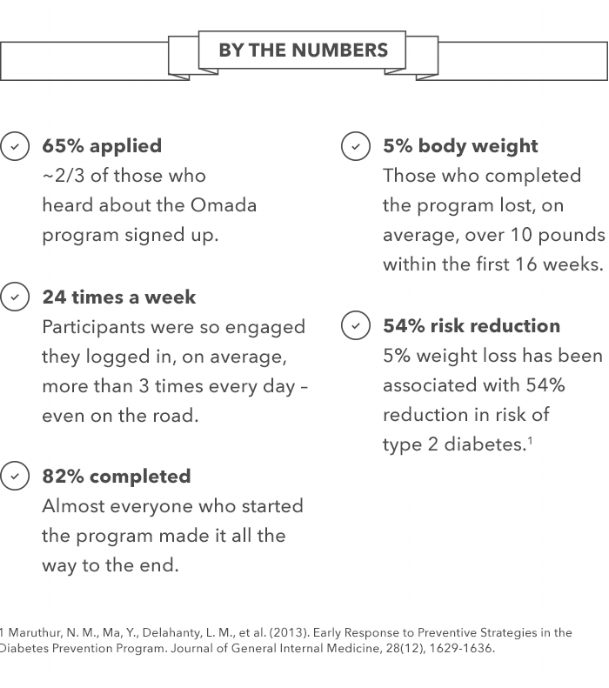 Iron Mountain partnered with Omada Health to offer a personalized digital behavior change program as part of their platform. Since implementing their total health strategy, including Omada, Iron Mountain’s current medical, dental, and disability claims are $40 million below projections. What’s more, there’s no projected increase in health plan costs over the next three years. Taken together, Iron Mountain is on track to realize more than $70 million in healthcare savings—well above their initial goal of $54 million. Iron Mountain employees' success with the Omada program isn't unusual. Take a look at the literature on our peer-reviewed outcomes.